Since smartwatches and fitness trackers frequently have their displays scraped and bumped, Corning has engineered the glass composite that makes up SR+ to resist these kinds of damage. The company claims that SR+ is 70 percent tougher against impacts and has 25 percent better surface reflection than other luxury cover materials. In a provided infographic, it is said that SR+ is much more scratch-resistant than Gorilla Glass 4 and 5 and almost as scratch-resistant as sapphire, transmits slightly less light than GG 4 and 5 but significantly more than sapphire, and is as thin as GG 4 and 5 and much thinner than sapphire. Essentially, Corning is trying to say that Gorilla Glass SR+ brings most of sapphire's benefits without sacrificing many of Gorilla Glass 4 and 5's features. Interestingly enough, it is never explicitly mentioned if sapphire is built into the composite that makes up SR+. 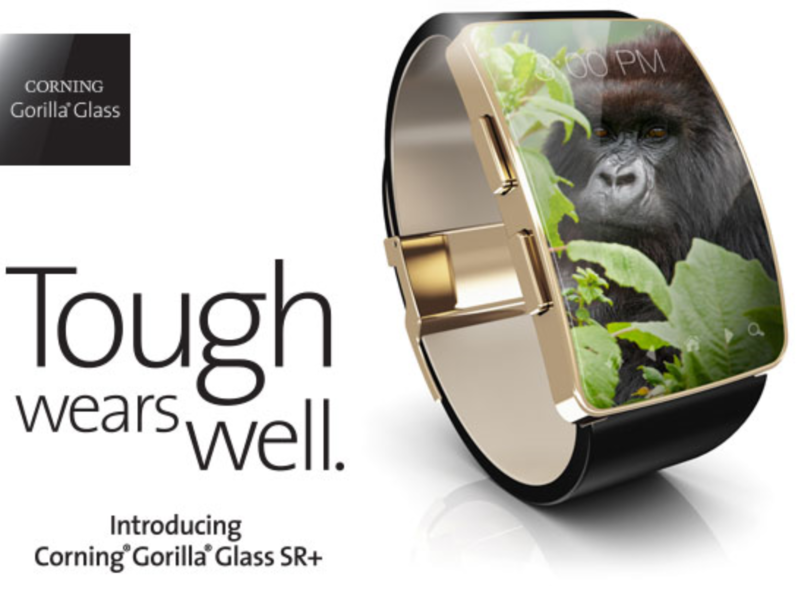 Gorilla Glass SR+ is already commercially available and will be featured on popular wearables later in 2016. Check out the press release below for more information.